John 1:23 – He said, I am the voice of one crying in the wilderness, make straight the way of the Lord, as said the prophet, Isaiah. Zachariah and Elizabeth were the parents of John the Baptist. Both were godly and of Aaronic descent. Elizabeth was the cousin of Mary of who is the mother of our Lord and Savior, Jesus Christ. In Biblical days the priest was chosen to minister to God and burn incense when he went into the temple of God.It was Zachariah’s time to minister, but Zechariah also had an appointed time to meet the angel of the Lord; a word from God sent directly to Zechariah that was not only going to change Zechariah’s life but the life of others. Zechariah and his wife were both of age and could no longer have children according to the law of nature. As Zechariah went into the temple there was an angel sitting there waiting for him. The angel informed Zechariah, he and his wife was going to have a child but, because of unbelief he was made mute for a season (Luke 1:20 – And behold, thou shalt be dumb and not able to speak, until the day that these things shall be performed, because thou believeth not my words, which shall be fulfilled. Even nature has to obey God when He speaks. God spoke to the situation and the situation had to submit to the Word of God. God spoke to the fallopian tube and the testosterone, and they had to come subject. Zechariah and Elizabeth’s reproductive organs were considered to be dead, but God’s Word brought life into their dead situation. God is the God of life and He can bring life into any dead situation in your life, all it takes is for Him to breath on it, and everything will begin to go into its proper place. John was called by God to prepare the people’s heart to repent. He could have used someone else, but God had some people attached to John, people who would receive the Word of God from John. Every born-again Christian have people attached to them, and it’s our responsibility to reach the people God has appointed to us. When God has called us to do something as we submit to God’s calling, neither Satan nor his imps can stop the plan of God. They can hinder, and delay it, but they can’t stop it. Many times; answers to our prayers have been hinder by Satanic forces, just as they did with Daniel (Daniel 10:12 – Then said he unto me, fear not Daniel: for the first day that thou didst set thine heart to understand, and to chasten thyself before thy God, thy words were heard, and I come for thy words. But the prince of the kingdom of Persia (Satan) withstood me one and twenty days; but lo, Michael one of the chief princes (angel) came to help; and I remained there with the king of Persia. No matter how long you may have been praying for something, don’t stop praying. If the prayer is according to God’s Word and His will; the prayer will be answered at the appointed time. Keep seeking; keep knocking and the door shall be opened. 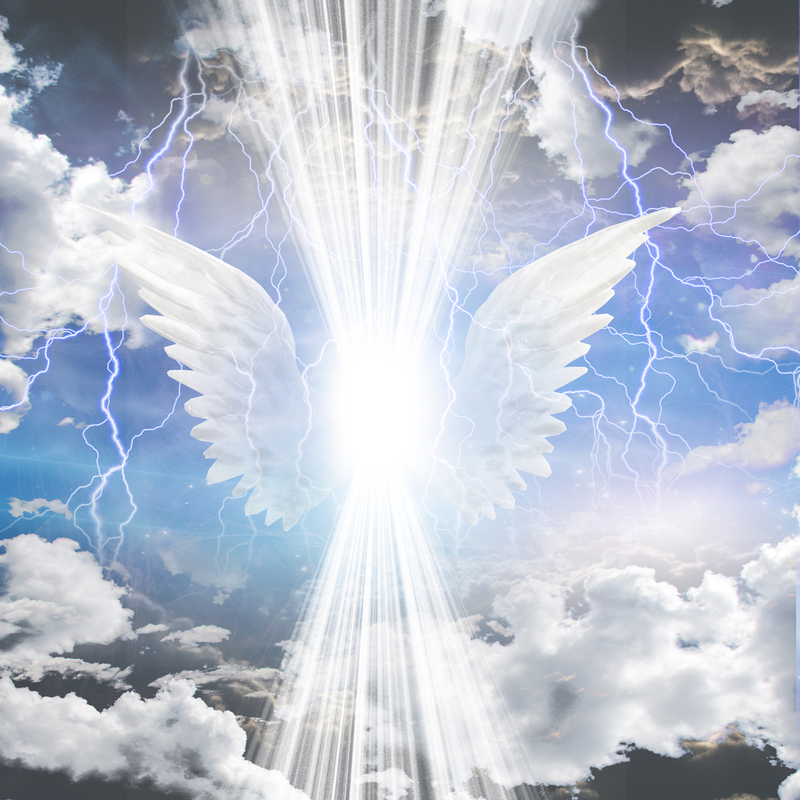 God promised those that fear the Lord have angels encamped around them, and also know just as God have sent His angels to be around us, Satan has sent his angels to try to keep us from receiving what we have prayed for. John and his parents received the Holy Spirit prior to the Holy Spirit coming to dwell within our physically bodies (Luke 1:15 For he shall be great in the sight of the Lord, and shall drink neither wine or strong drink; and he shall be filled with the Holy Ghost even from his mother’s womb). Luke 1:41 – And it came to pass, that when Elisabeth heard the salutation of Mary, the babe leaped in her womb; and Elisabeth was filled with the Holy Ghost. Luke 1:67-68 – And his father Zechariah was filled with the Holy Ghost, and prophesied saying, Blessed be the Lord God of Israel; for he hath visited and redeemed his people). God knew what John was going to go through to get the people to repent. He knew John needed more than just the Word of God, but John needed the Word (Jesus) to be living within him, the anointing to destroy the yokes of Satan. John was a man called of God and had the anointing of God. There are many people called of God, but there are few that are chosen to carry the anointing of God. Every Christian needs the Holy Ghost (Holy Spirit) living within them. It’s by the Spirit of God; Christians can live a life that will be pleasing to God. It’s through the Holy Spirit we can communicate with God, it’s through the Holy Spirit the Fruit of the Spirit and the Gifts of the Spirit can operate. We cannot defeat Satan in our strength, but it will be by the power of God. Not by power, not by might, but by the Spirit of the Living God! Each of us will have a day we will be in the wilderness. Wilderness is a place you can’t hear from God, you can’t feel Him and He’s not allowing anyone to tell you nothing He is saying. Wilderness experience causes us to grow spiritually, that’s when we really begin to seek God with our whole heart. We can consider the world as a type of wilderness. People are living according to the world standards, if it feels good, do it; if you want it, take it. We as Christians must live a life that will exemplify we are children of God. Just as John was in the wilderness, calling the people to repentance, we should be doing the same. Our life should be a testimony; our speech should be sweet to draw even the difficulties person into a conversation about Jesus. When have you cried out to God for a lost soul? Everyone is not going to receive Jesus, but it’s our Christian duty to pray for those we know are lost, make a list, and call out their names until they receive salvation or until God tells you to stop praying for them. When a person is blinded by the tricks and schemes of Satan and sin they cannot discern the truth nor will they accept the truth, but when we pray and begin to ask God to move the blindness from their eyes, the hardness of their hearts and give them willing hearts, we will begin to see people receiving salvation. God’s Word will never return to Him void. The Word of God says (Again I say unto you, that if two of you shall agree on earth as touching any thing that they shall ask, it shall be done for them of my Father which is in heaven. For where two or three are gathered together in my name, there am I in the midst of them – Matthew 18:19-20). When we pray and begin to pray for souls to be saved, you and I don’t have to be in the same house or the same country, but when we pray for souls to be saved, we are touching and agreeing for the same thing. When we go into our prayer closet, we’re gathering to gather in the spirit and as we pray for salvation for souls, God will hear the prayers and we will see the manifestation of our prayers being answered! God is waiting for us to pray, He gave us dominion over the earth and that what dwells within in it. Satan is the god of this world, we have to pray and demand souls to come into the light, God has given us authority over Satan (Behold, I give unto you power to tread on serpents and scorpions, and over all the power of the enemy: and nothing shall by any means hurt you – Luke 10:19). Satan has people in chains and fetters and they don’t have the strength nor the power to fight for themselves, so we, who are called of God, called to be the sons of God, we must fight for them and it comes through prayer and fasting.